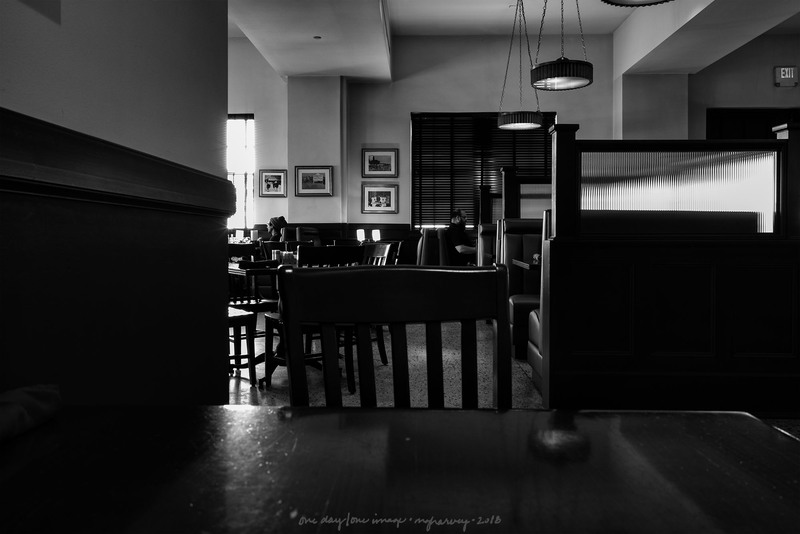 Taking up photography has helped me a lot, though, because even ridiculously long waits for a server to arrive to take a lunch order (to cite a recent example) can turn into a photograph. And I’m much less likely to get fidgety. And/or pissy. Posted on December 7, 2018, in Photography and tagged 365 photo project, Big Spring, Big Spring Texas, black and white photography, learning to see, Leica, melinda green harvey, monochrome, one day one image, photo a day, photography, postaday, road trip, texas, thoughtful seeing, travel photography. Bookmark the permalink. 5 Comments. Long waits because there are. No longer any servers?? There were a couple of servers, and almost no other customers. I am not sure why the wait was so long.